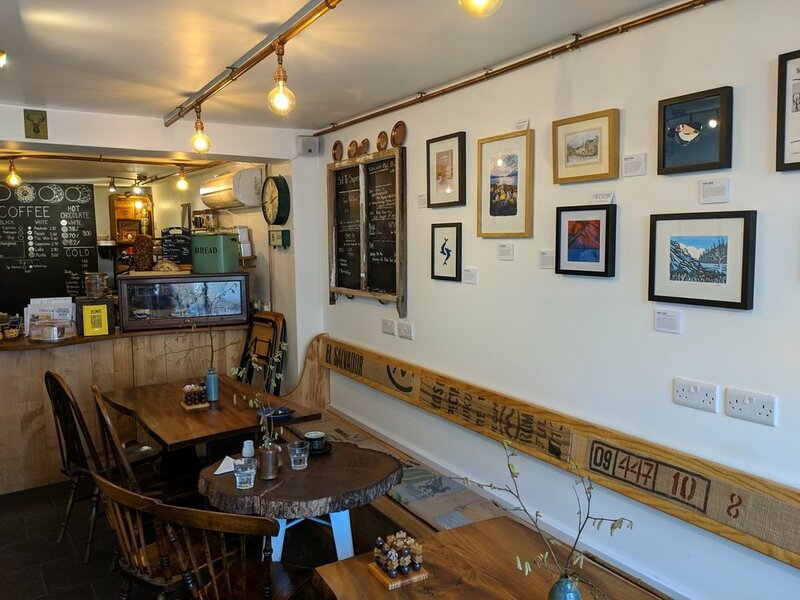 This year we had our very first Drawn To The Lakes exhibition, hosted at the Moon & Sixpence Coffeehouse in Cockermouth. The exhibition was a celebration of the diverse range of creatives, who live in Cumbria and are drawn to The Lakes both physically and creatively. Including established artists, students and hobbyists, working in an array of materials including paint, print, glass, textiles, ink and digital artwork. 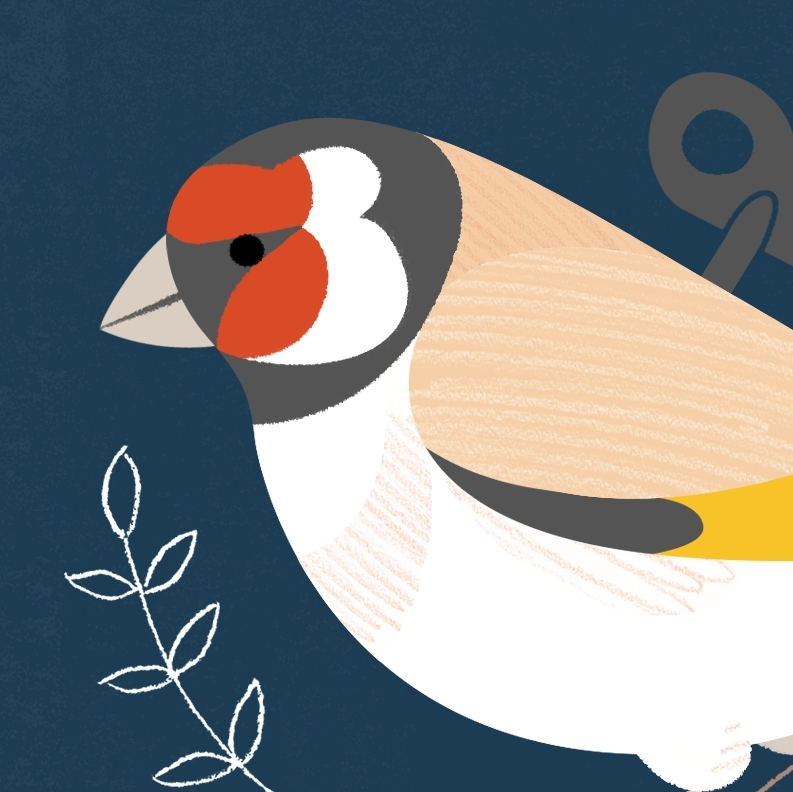 For my piece in the exhibition I created an illustration of a goldfinch. Goldfinches are one of my all time favourite birds. I used to watch them in my gran's garden in Cumbria when I was little, and when I lived in Manchester I'd see them nearly every morning walking through the city centre on my way to work. To me the chirps and cheeps of a charm of goldfinches flying by sound so magical- like the noise fairies would make, or an enchanted mechanical toy.